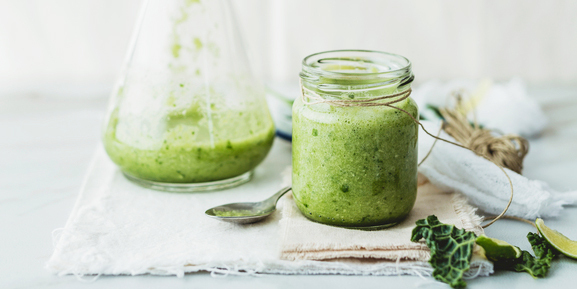 This Green Goddess Smoothie is packed with dense nutrition to give your energy a boost at any time of the day. 1 cup baby spinach leaves or kale, stalks removed, torn. 1/2 cup chopped cos lettuce, or whatever greens you have. 1/2 teaspoon greens powder, optional. 1/4 cup frozen berries (any type). 1 small handful mint leaves, torn. 1 1/2 cup coconut water. 1. Throw all the ingredients into a blender and blend until smooth. Add more coconut water if it is still a little thick.